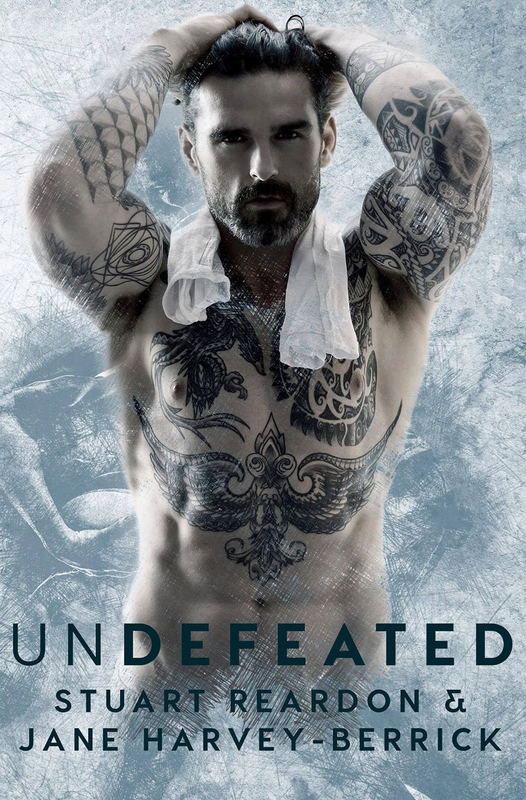 I'd been looking forward to reading the results of Stuart Reardon and Jane Harvey-Berrick's first efforts as a writing duo. The retired rugby league player turned aspiring author joined forces with one of my favorite go-to authors, and Undefeated is, unsurprisingly, set in the world of international rugby. This sports romance does extremely well in terms of the former, but unexpectedly, falters a tad with the latter. But I'm getting ahead of myself here, so let me give you an idea of what the book is about before I get into the nitty-gritty of what did and didn't work for me. Twenty-six-year-old Nick Renshaw is on the cusp of both his personal and professional lives hitting the next level. He's got a ring for his girlfriend of three years--the same girlfriend his family isn't too keen on and his best friend thinks he's nuts to want to marry--and he's set to play for the Manchester Minotaurs, one of the best teams in the premiership. That is, of course, until he suffers a career-threatening injury. Try as he might to get back to top form, he struggles, which is when Dr. Anna Scott, a thirty-year-old sports psychologist originally from New York, steps in. Making the move across the Atlantic was meant to be a good one for Anna. She's good at what she does, and when she meets her first ever patient, she hopes she can help Nick overcome whatever is blocking his improvement. She's also quite attracted to him, but she has no intention of doing anything about it. He's engaged and she knows better than to cross more than one line. But when Nick's life falls apart and he reaches out to her, who is she to say no to him? When her reputation is threatened, will Nick be there to help keep her life together? First things first: I loved that Reardon and Harvey-Berrick did not skimp on all things rugby here. They didn't merely add bits and pieces of what happens on the pitch but what a player who was in his prime and then finds himself recovering from an injury and the possible loss of his livelihood and dream has to endure as well. I felt for Nick, whose life was in shambles with the injury that seemed to have a domino-like effect. I empathized with him and totally got some of the choices that he made. He was a good guy who had a family that would do anything for him. Learn more about Stuart Reardon and Jane Harvey-Berrick.